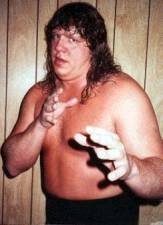 Famous Matches and Storylines: Gordy was one of the original Freebirds, and had much success with the tag team. Gordy also teamed with "Dr. Death" Steve Williams to win the tag team titles. In his last match on national television, Gordy as "the Executioner" battled Mankind at a WWF PPV. In Japan he was a force in All Japan Pro Wrestling and had battles with the greats of All Japan such as Steve Williams and Mitsuharu Misawa. Other Notes: Steroid and/or drug use may have led to Gordy's premature death, but no solid evidence has ever turned up proving or disproving the theory. Gordy will always be remembered as legitimate tough guy, and a pioneer in the tag team division.